The Diamond WPCTV3000 wirelessly streams your Mobile, Windows PC and MAC PC content to your HDTV. 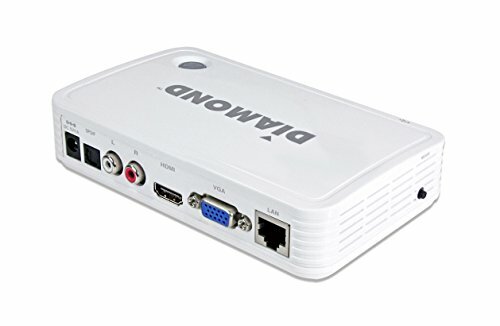 Sit back and enjoy your content in 1080P without the need for any wire cable connections. Supports Wi-Fi Mira cast, with a Mira cast supported smartphone or tablet you can mirror your devices screen to your HDTV, what you see on your device is what you see on your TV, DLNA support, stream your music, photos and movies from any DLNA supported device to your HDTV, n ScreenShare support, extend or mirror your windows PC or MAC PC to your HDTV. I-Play support, stream your music, photos and movies from your iOS apple device to your HDTV. Conference multiple client support, lets you pick and choose any PC on the client list for screen mirroring and file sharing.